So you are thinking, OK Doug, what on earth does that title mean? I'll decipher it! 2) Now, the 1st Part (PSD's Kleenex). What is the opposite of Viral? Anti-Viral of course! Pure Spa Direct (get it... PSD!) has a wide variety of Anti Viral products to help keep you, your staff and your clients from catching each other's germs! Citrus II Germicidal Cleaner - a Bacterialcidal, Virucidal, Tuberculocidal, Fungicidal, Disinfectant formulated to disinfect non-porous, inanimate surfaces such as walls, floors, tables, chairs, sinks and tubs. Mar-V-Cide Disinfectant Germicide Fungicide Virucide - a hospital grade disinfectant cleaner. Concentrated. Formulated for effective hair salon instrument sanitation. Purell Hand Sanitizer Spray Pens - on-the-go hand sanitizing power you will need packaged in a convenient spray pen. A great POP item and great for your staff to all carry in their pockets! Pure Spa has hundreds more too -- use the search box at purespadirect.com to find what you need! I'm not saying any of these will prevent more K-Pop videos from PSY, but they will help keep you, your team and your clients from catching germs!!! A Spa that had me at Hello! This past weekend, I had a spa experience that has blown all previous experiences away! Why? Upon welcoming me into the already gorgeous and serene spa, they handed me something no other spa has done to me before...Cool Treats -- Iced Eucalyptus Spa Towels. They are so refreshing, and will be a huge hit amongst all of your clients during the spring and summer months. Eucalyptus is a popular choice, because of its wide range of benefits. 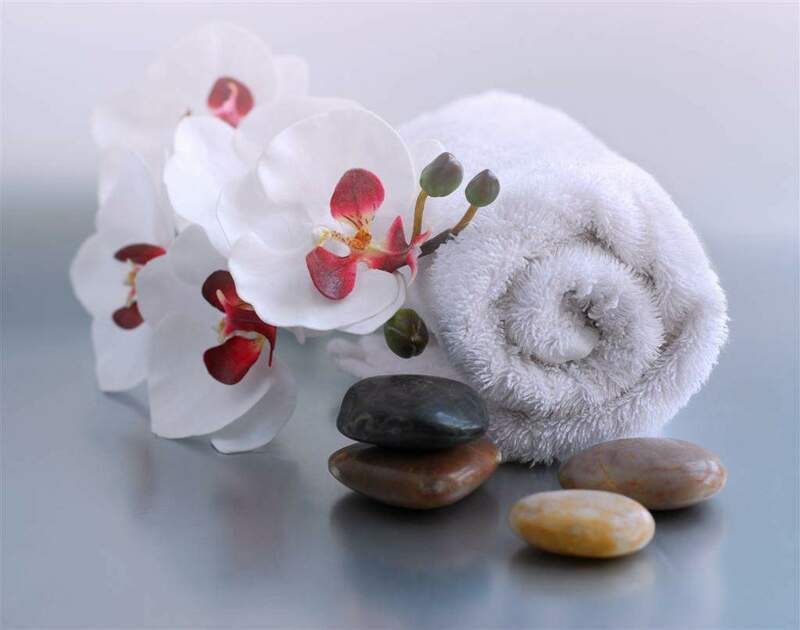 When used in a spa setting it can be used to clean and sanitize, because of its anti-viral and anti-bacterial properties. Have your clients use these Iced Eucalyptus Towels to clean their hands, rub their face, cool their neck, and breathe in to help decongest, especially during a terrible allergy season. Adding this powerful essential oil to the iced towels can be used to stimulate, purify, refresh, and clear the mind before starting any spa service. Pour some water into one stainless steel bowl, and add in 8-10 drops of your favorite Eucalyptus Essential Oil. (Hint: Use 1-2 drops of essential oil per towel). Dip and drench each towel into the bowl, wring it out, roll it,and transfer it to a clean bowl. Lastly, pour crushed iced or ice chips over the towels..... and there you have a nice spa treat! I was so impressed how something so simple & economical can lead to a more memorable, enjoyable, and therapeutic experience. I know I will be back vising that spa again!